1. Take out a piece of paper. Give one to your guy too. Write down your top three requirements for your wedding experience. Do you prefer a barefoot vibe? Or did you always imagine yourself as a bride in a grand ballroom? Is a formal dinner your top priority or do you prefer to savor the local cuisine? Next, each of you should outline your ideal destination. Have you always wanted to get married in a jungly locale or are you all about the water? Does he absolutely need to be near a golf course? And are historic attractions important to you? Then whittle down your hotel needs: Is service the most important part of your equation? How about a spa or yoga? Do you absolutely insist on having a variety of restaurants and cuisines or is it more about the activities? You may also want to each put down three absolute deal breakers (it’s not family-friendly or the pool is small, for example). Highlight the similarities as a guide to choosing your ideal location. Much like couples and their weddings, countries, islands, states and resorts have distinct personalities. Some places are more action and adventure-centric; others have a more raucous party vibe. There are hotels that focus on haute cuisine, while others highlight the spa. As with most decisions, start with the broad strokes (country or island, for example). Take into account travel time and accessibility for you and your guests. Also think about how language and cultural differences might affect your planning, as well as the legal requirements for getting married. Some countries mandate waiting periods and on-site medical tests, so that is something you’ll need to add to your time frame and budget equation. 3. Choose a resort that speaks to your wedding vision as a couple. Make a list of a dozen or so and send out query e-mails to the resident wedding coordinators. Ask the basic package-offering questions, availability in your desired time frame and the kicker—cost. Some resorts require minimum spending on food and beverage and/or room nights. Clarify all that in this initial correspondence. 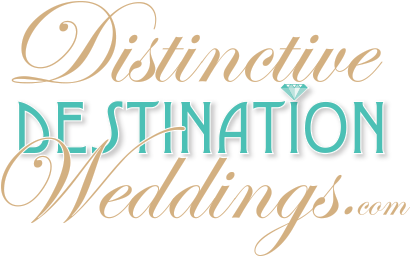 Ask about accessibility to the airport, major cities and any wedding-weekend excursions that you may be considering. You’ll also want to ask basic weather-plan questions (like what happens to outdoor events in the case of rain?) and if the hotel requires or accepts wedding and travel insurance. If childcare or elderly needs are important for your guests, ensure that these points are covered in these early e-mails. Also, clarify the hotel’s policy on using outside vendors. Ask about site inspection trips and planning opportunities.